We're only as good as our customers say we are. “We have been traveling to Costa Rica for well over a decade. Since our very first trip, we have dreamed about buying or building a home. When we were introduced to Bram Shook, we knew we found a friendly, informative, savvy and helpful ally. On that first meeting, Bram showed us properties and gave us the lay of the land in Nosara. He spent a great deal of time answering our questions and sharing his vast knowledge, but was never pushy. On the contrary, he respected the personal process of any potential client. A year later, we returned to Nosara and reached out to Bram again. He was as affable as the first time we met and showed us properties again. This time, we found our beautiful piece of land. Although we were excited about making the decision to buy, we had even more questions. Bram has guided us through this process step-by-step. He is professional, thorough, resourceful and prompt. He introduced us to highly respected lawyers, architects and builders in the area. He has gone above and beyond with every inquiry and stage of this process. There has never once been a moment where we have hesitated to reach out to ask Bram for any advice – and often times that advice extends out of the bounds of anything that will earn him a commission. 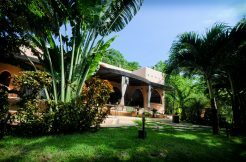 “My husband & I had been looking to purchase a property internationally for several years and had narrowed in on Costa Rica. We were first introduced to Bram through his wonderful website nosaraliving.com, which details how to successfully move to Nosara. We became enamored with the American Project, and couldn’t wait to get on a plane and meet Bram in person. “Buying property in a foreign country can be daunting and you inevitably have to put your trust in someone, that someone for us is Bram Shook. Not only did Bram and his team at Century 21 go above and beyond our expectations for our property needs, he made himself available for many other questions that included contractors, legal things and local information. “I wish to express my total satisfaction with Bram Shook and the Nosara Century21 team. 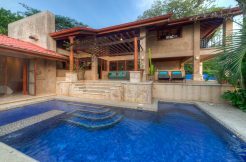 Bram worked tirelessly — before, during and after the sale — to find me just the right home in Nosara, and made sure I had all the right inspectors, reliable contractors, and other local personnel to make my home perfect. He even introduced me to a great decorator, who really made my home shine. As a bonus, not only have we enjoyed the home, but it has gotten 14 renters in just 3 months! So it is already cash-flowing positively. I can’t recommend Bram highly enough. “I’ve known Bram for about 20 years. He was the third person I met in Nosara after Bill and Pam from Marlin Bills restaurant. I bought my Second piece of property from Bram 17 yrs ago. He’s always been completely knowledgeable and honest, and I never feel like I’m getting the salesman push. – Ken & Donna R. Myrtle Beach, South Carolina. “In 2002 we went to Costa Rica looking for a second home. We arrived in San Jose where we met a very nice gentleman, Harvey Haber. After visiting with us only a short while he said we should go to Nosara. We went and met Bram Shook, then a new broker at the Century 21 office. Bram, my wife Paula and I hit it off from the start and we began a short but intense search for a house that we could come to for a break from the fast pace of the U.S. and a place where our family could enjoy the area. We also wanted something that would return enough rentals to approach covering the expenses of the house. Bram helped us locate the perfect house just a short walk from the beach, close enough to listen to the waves as they break on the shore. He was with us through the negotiations with the property owner, dealings with the attorney (whom he found for us) to the close. We could not have had better allies than Bram and the Century 21 staff. Anytime we have run into a problem, even to this day in 2012, we can count on Bram, Gaby and the now expanded staff to help us find solutions. Were we to buy or sale again in Nosara, it would certainly be with this fine group. The people, locals and ex-patriots alike, were found to be genuine, gracious and accepting. The topography is captivating. A well kept secret in a country full of many well known paradises.